The bad news: About two weeks ago my right side rear wheel broke while driving at about 30 mph on a 2 lane regular road. It sounded like I hit something (I was in a line of cars and could not see what it was) however the same side front wheel was/is intact! The busted wheel does not look bent at the inner or outer rims, and I can see no tell-tale marks on the tire. See pics. The good news (silver lining): I pulled to the shoulder and installed my homegrown spare wheel using my homegrown wheel replacement kit, and it all works perfectly. The car is as smooth as it was before the incident which also confirms that the front wheel is intact! Last edited by Yoram; 04-14-2019 at 02:30 PM. Wow. Most have been a heck of a hit. I would have the tire checked carefully when you have it switched over. I don't see how it would crack the wheel like that and not have hurt tire. Pinetree and SLO_SS like this. Kooks LT and X-pipe. Borla Touring. z51vett and SLO_SS like this. I suspect so too, although no visual damage. In addition there may also be damage to the shoulders due to driving on the flat tire while slowing down and pulling over. My trusty Discount Tire store is sure to look at the tire very closely - after all they have considerable motivation (stick and carrot). speedrye and ESindon like this. 1 of 78 total ROOFLESS SIM in US when including the 5 roofless SIM GM internal cars sold as used. 1 of the 78 is confirmed dead and unrecoverable. I don't do lazy or stupid. Looking at the OP's wheel/tire config makes me question a couple things. 1) Isn't the stock rear wheel width 9"? 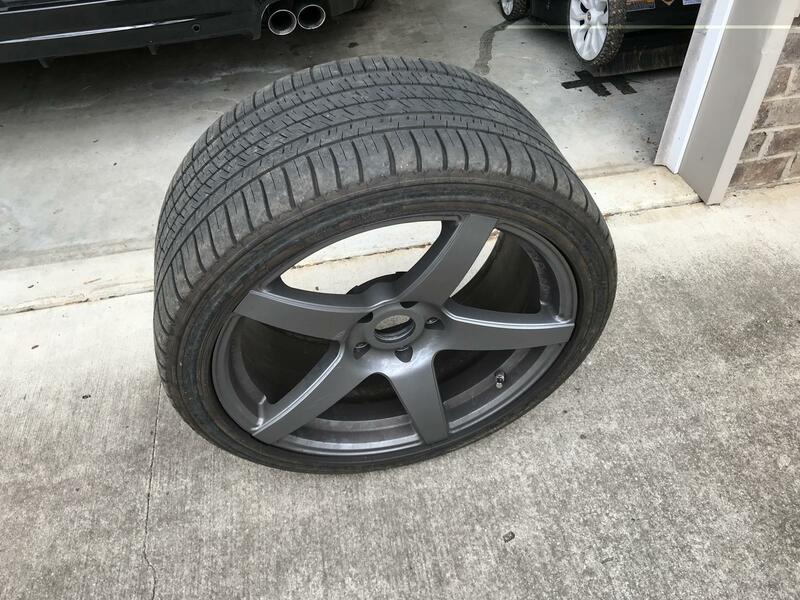 The OP appears to have changed them to 9.5" but kept the OEM tire size. 2) The rear tires now on the car are Michelin Pilot Sport A/S 3+ having a size/load rating of 275/35ZR19 96Y. The stock Bridgestone rear tires carry a size/load rating of 275/35R19 100Y XL. Even the stock fronts carry a higher rating with a 98Y XL. 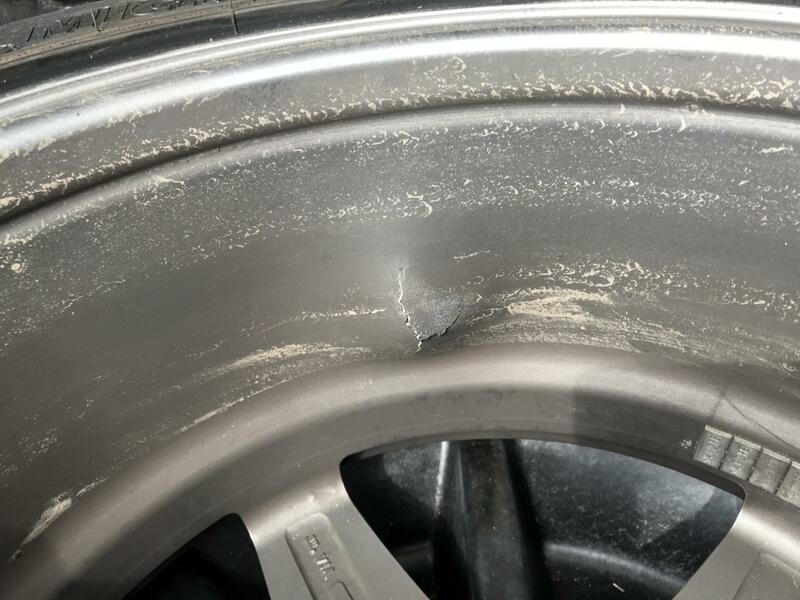 I'm wondering if it's possible having a lower load rated tire on a wider wheel could cause this type of impact wheel failure to happen more easily? The OP didn't say what tire pressure he was running with, but if it was below 35 psi, I would imagine it wouldn't take much of a sized object to bottom out a 35 sized side wall tire at any speed. The "96" represents the tire's load index. The load index basically shows how much weight a tire can support. A load index of 96 gives the information that the tire can handle a load of 1,565 lbs. Passenger cars and light trucks normally have tires with a load index between 70 and 110. The "Y" at the end of the tire information tells the speed rating, or the tire's maximum speed capability. These ratings are initially calculated in kilometers per hour, then converted to miles per hour. A "Y" goes on a tire with top speed capabilities up to 300 kilometers per hour, or 186 miles per hour. These tires are not designed for autos like a family sedan, but for a vehicle with very high speed capabilities, such as an exotic, high-performance car. The load index and speed rating are for tires that are working adequately. The load capacity designation is for a tire that is inflated at its maximum air pressure. 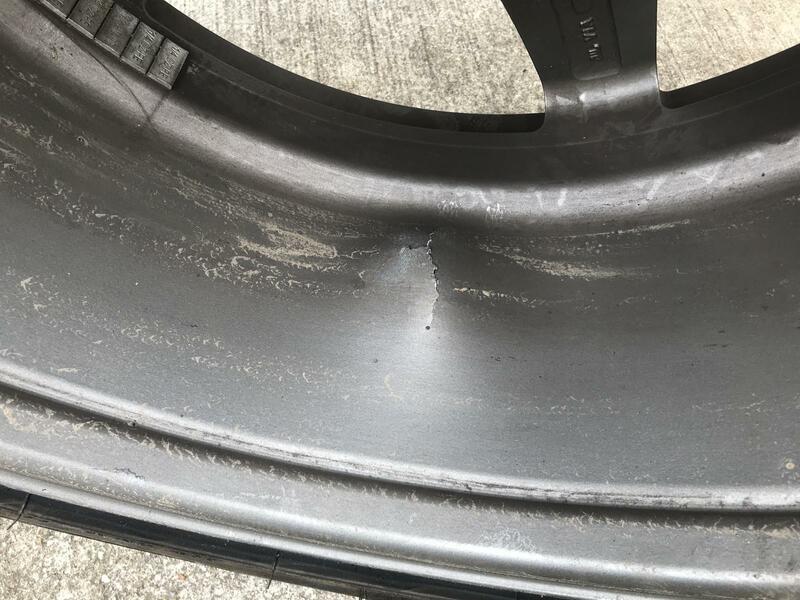 According to information on the Tire Rack website, the speed rating only applies to tires that "have not been damaged, altered, under-inflated or overloaded." CB750 and ESindon like this. 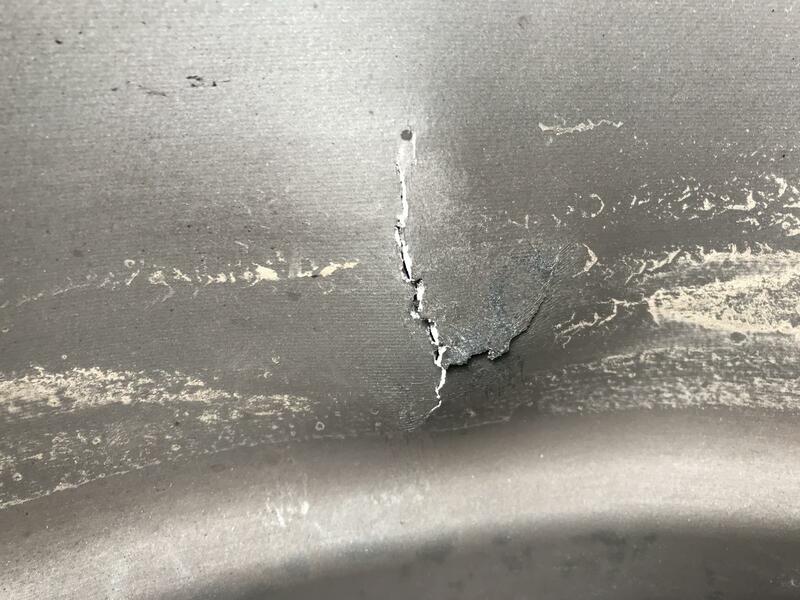 While interesting analysis, it prob just comes down to lightweight (low mass) cast aluminum wheel get damaged easily by potholes and road debris, and this becomes more likely the lower the profile of tire. You see this all the time with lightweight track wheels like an rpf01, cast or forged. stvmoe75, thank you very much for the great insight and info! 1. Tire load rating: Great catch! Rear tire rating spec is indeed 100Y. I "inherited" the tires with the car and did not bother to check them against specs. Will try to take it up with the Chevy dealer who sold me the car, although it's been more than a year (good luck, huh?). On the other hand, tire load rating is taking into consideration max load (GAWR), and I am driving 99% of the time 1 or 2 up, empty trunk. During the incident I drove alone, empty trunk. Also, the load and resistance to impact is carried by the air pressure and not the tire itself; the tire needs to be able to support the pressure, heat and pressure spikes without bursting; that's where the load rating comes in. In my case, the tire did not burst, so ultimately I see no clear correlation of this incident to the tire rating. In any event, I will likely replace both rears with Michelin's of the correct load rating. Thanks again for catching this! 2. Rim width: I can see possible correlation of the incident to the rim width, although the increase vs. OEM is just over 5%. In some charts I found, 9.0" rim width is below the minimum recommended for 275 tire width, 9.5" being the minimum. Note in our cars the nominal 12.7 mm difference in front to rear rim width vs. 30 mm in tire width. I realize Holden had some reason for this, but having been in this industry for 4 decades, I know it's not always about performance, there are various cost, weight, packaging, supply and other compromises. I could see no technical reason against it, so I decided on 9.5" for the rears. 3. Tire pressure: I pump mine to 39 psi cold all around (have compressor and precision gage at home), and keep a watchful eye on the pressures (have the dash tire pressure display always on). High tire pressures are a must for low profile tires and alloy rims. Tire pressures were good. Thanks again for the insights, guys. Wow! That is an extreme failure. Makes me think again about a getting set of Forgestars. I do like your setup but wheel destruction like that with no obvious tire damage is not reassuring about the wheel's strength despite what FS says.